Dinner time is pure craziness in our household. We want our kids to learn the value of eating together as a family at the table, but sometimes it hardly seems worth the struggle. Even when they decide that they actually like what I have cooked, they are still up and down, in and out of their seats every two minutes. Can a better chair really be the solution to an enjoyable dinner time? 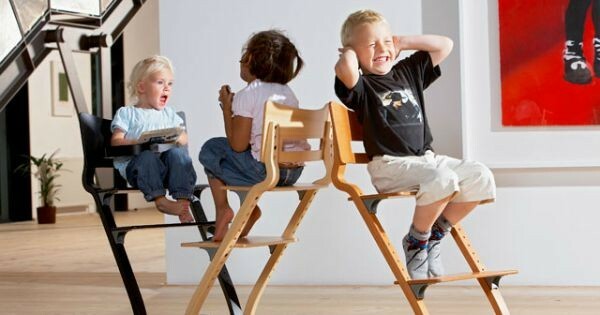 The Leander High Chair is one popular product in a long line of innovative children’s furniture products from Danish design company, Leander. Featured first on Babyology back in 2007, this chair has recently been updated so we thought it was time to bring it to your attention again. Made in Europe from Beech wood, the Leander High Chair is available in a colour to suit your decor: black, white, natural, white wash or walnut. Recognised for its beauty and practical design, this chair will not only blend effortlessly into your home, it will grow with your child from baby to adult. When a child can sit in comfort and with good posture at a table, they can focus on the important things, like eating properly and engaging in a socially constructive ways. With this in mind, almost every component of the Leander High Chair is adjustable to suit the stage your child is at. As your baby grows in height and independence, you can lower the level of the seat and foot rest; it is purposely made with a bit of flex for movement and comfort and you can even change the height of the backrest. This incredibly practical chair only weighs 6kg but can comfortably seat a person who weighs up to 130kg. There are a lot of optional accessories too for the Leander Chair. The safety bar is a must if you are using it to seat a child under two and it is specially designed to prevent squirmy little bodies from escaping. 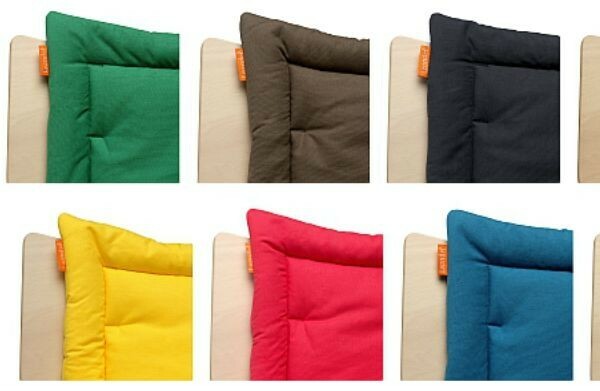 A 100 per cent machine washable cushion will add some soft padding for little ones and there are seven fun colours to choose from. The tray is very functional if you don’t always use the Leander Chair at the table and it can be easily removed and stacked in the dishwasher for the ultimate in convenience and hygiene. The Leander Chair retails for $299.95 and the optional accessories cost $69.95 each. 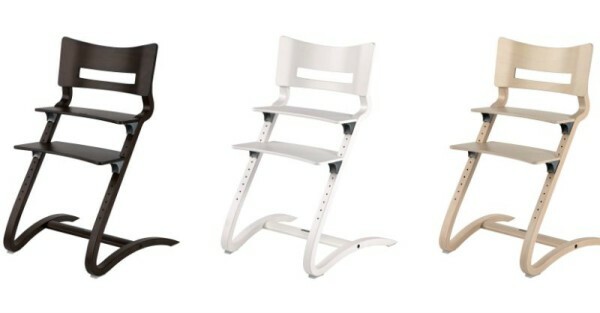 You can buy the Leander High Chair and accessories in Australia through online store, Danish by Design, or from one of their many stockists throughout Australia.